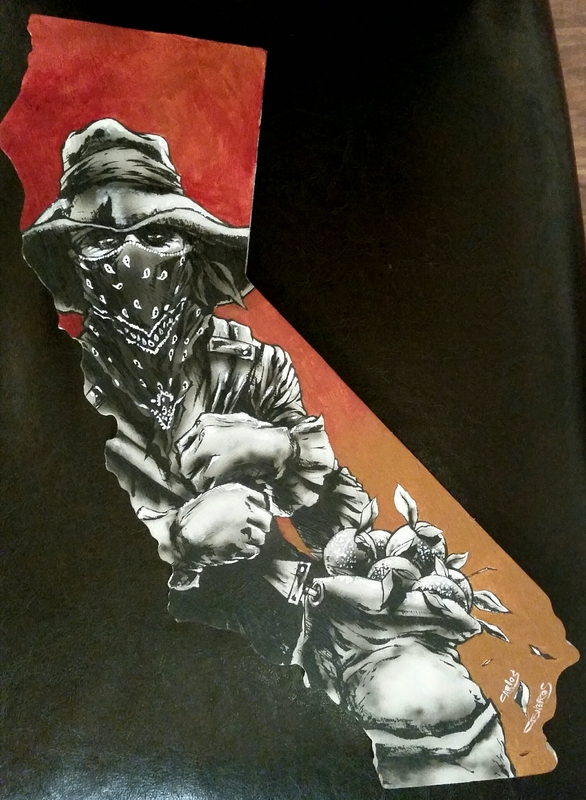 “Harvest”- wood cutout for the “California State of Mind” Artshow at Grizzly Fest. Sold. This entry was posted in Uncategorized and tagged 559, art, cacillustrations, California state of mind, carlos cisneros, Chuckchansi park, downtown fresno, grizzly fest, harvest, illustration, lowbrow, street art. Bookmark the permalink.